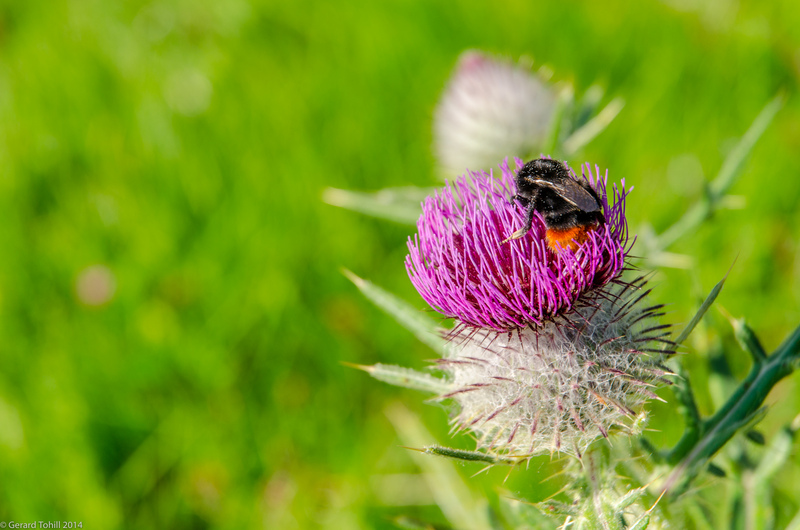 Whatever was inside this thistle was keeping this bumblebee entranced. It didn’t seem to care about anything else, as I moved around taking photos. I loved the orange colour to the end of the thorax on the otherwise black bee. It seems summer has not quite gone away just yet.